The adhesive postage stamp which is used in modern day to send letters via the postal system, was invented in 1837 and first issued in England in 1840. Since then, postage stamps have featured neat designs related to pop culture icons, current events and more. If you are a stamp collector, chances you look high and low for the perfect stamps to add to your collection. There are many different stamps out there that would make a beautiful addition to your collection. Depending on your specific interests or if your stamp collection has a theme, certain stamps may be more difficult to find. If you are an art lover as well as a stamp collector and fully appreciate what Andy Warhol has contributed to the pop art movement, an Andy Warhol stamp (or several) may make a wonderful addition to your collection. 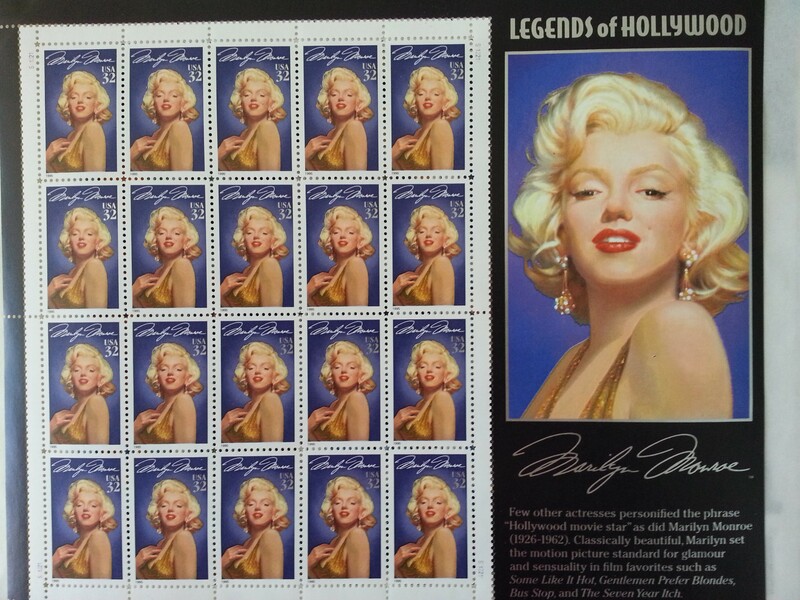 Some other great stamp themes you may want to add to your collection if you’re a movie buff is are ‘Legends of Hollywood’. 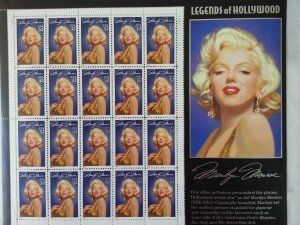 These stamps feature many famous actors/actresses that are now deceased. If you’re looking for the perfect art related stamp for your collection, Patty Barnett from Barnett Fine Art in New Orleans may be able to get it for you. You can contact her at 504.524.2922 or info@BarnettFineArt.com. This service will only be available for a limited amount of time so if you’re interested in purchasing an art related stamp, don’t hesitate! Barnett Fine Art is located in New Orleans, Louisiana. You can view a sample of the art and artists available by visiting our website. Several of the artists are local to the New Orleans area and they are extremely talented creating exceptional artwork. As a private dealer Patty Barnett of Barnett Fine Art can locate fine art limited edition works on paper and sculpture as well as original art. Barnett Fine Art is your source for Erte, Alexandra Nechita, Yuroz and Master work on paper by Rembrandt and Picasso, as well as Pop Art by Roy Lichtenstein, James Gill, Tom Wesselmann, Gerald Laing, Alex Katz, and more. Additionally, our exclusive fine art consignment/resale service provides a platform to sell your artwork to support the diversity of your growing collection. This entry was posted on Thursday, November 7th, 2013	at 1:20 pm	and is filed under Collectable Art	. Both comments and pings are currently closed.